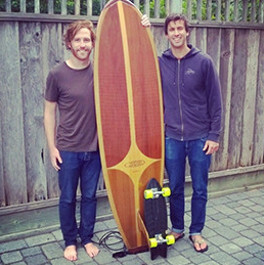 Bureo make skateboards from recycled fishing nets. Their recycling program in Chile, ‘Net Positiva‘, provides fishing net collection points to keep plastic fishing nets out of our oceans. Preventing harmful materials from entering the ocean, our programs protect wildlife and supporting local fishing communities through financial incentives.